“It’s gorgeous! I cannot wait to give it to him - he’s going to be delighted! Kindest regards and many thanks for all your help.” - K. A. UK. Choose your seasonal dial shade: parchment (Spring), teal (Summer), russet (Autumn) or midnight blue (Winter). The 41mm Dale will look good on any wrist: it is neither too small nor over-sized. The short, contrasting seconds hand recalls 1930s elegance, and a gently convex sapphire glass surmounts the mirror-polished steel case. From £899 (quartz), £1,599 (automatic). We’ve even made a feature of the case back! Colour-matched with the dial, behind sapphire glass, is a subtle decoration based on Gothic tracery from Lincoln Cathedral. This beautiful design has been finely etched into brass, before being painted. Alternatively (on the automatic version) you can choose to have an exhibition back, so that you can view the almost hypnotic workings of the mechanical movement. Naturally, your Dale will have a wonderful leather strap, hand made in Devon by Tanner Bates. It will be powered by a superb Swiss-made movement: your choice of quartz or automatic. Spring Dale watch with parchment dial and Tanner Bates Oak Bark brown, or London Tan leather strap. 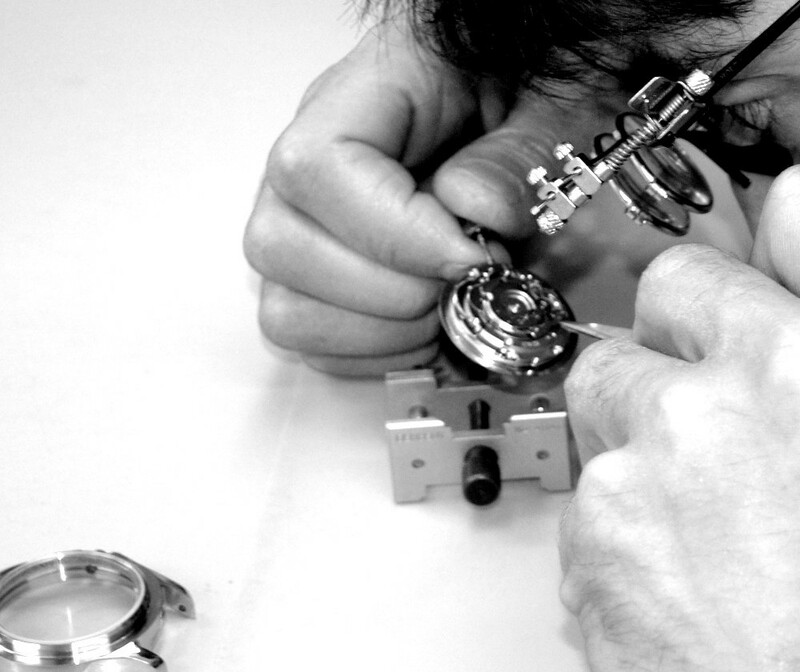 We are proud of the supreme workmanship of every watch we make, which is why we provide a 5-year guarantee of quality, craftsmanship and accuracy. We want you to be completely satisfied with your watch. If, for any reason, you are not, simply return your watch for an exchange or full refund (less delivery charges and any customisation) within 90 days of purchase.